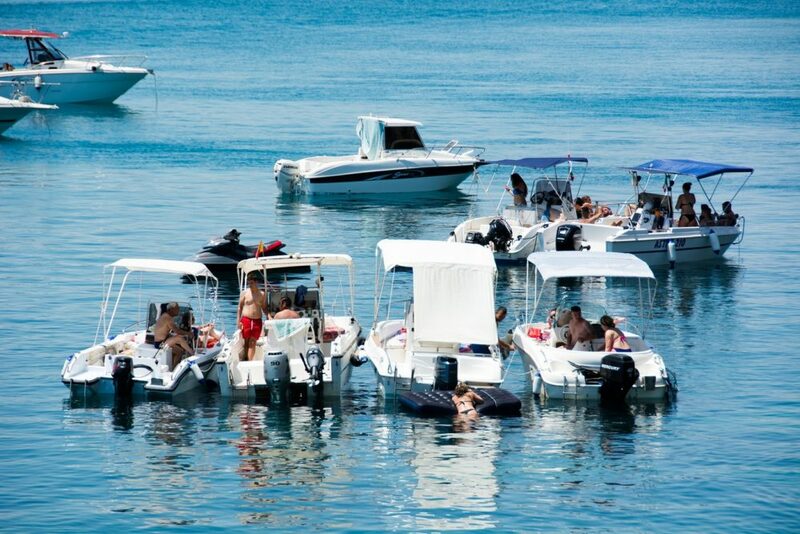 Protecting yourself and other passengers of your boat from UV rays or bad weather requires a bimini top. They add to the comfort of your boat by offering a shade from the sun and a cover to hide away from the bad weather. The best boat bimini top is the Leader Accessories with all hardware that comes with 13 colors and 6 different sizes to fit a range of boats. 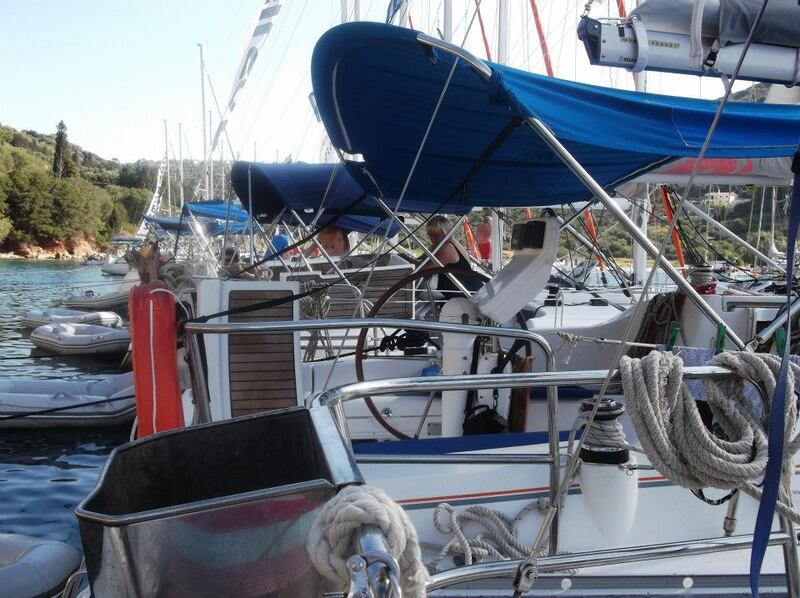 Bimini tops provide a range of benefits and are much cheaper than you would expect. They come in a range of standard sizes and colors for the savvy boat owners. Bimini tops for boats are one of the most popular accessories as they not only look great and add value to your boat but also serve a purpose. There are bimini tops for pontoons, towers, Jon boats and inflatables. For those on high speed boats that go over 30 MPH, its important to note that many bimini tops have max speed ratings. Premium examples usually have a max speed rating of around 45 MPH at a push but the last thing you want to do is cause damage. There are a range of styles available and its worthwhile researching for one that suits your boat. Below is a list of the best bimini tops for boats that will provide protection and add value to your boat. Leader Accessories are a large marine product manufacturer and feature in our top rated outdoor boat covers article as the best. Their Bimini top cover is very popular as it comes with 13 different colors and 6 sizes. The fabric is a mixture of marine graded 600D polyester and 600D fabric that is double overlapped stitched for extra protection and durability. All of the hardware is made from stainless steel so that there is no issues with saltwater usage or corrosion. It is a 3 bow construction that includes a 1 inch aluminum frame diameter with double walled bow legs for optimum strength. Installation of the bimini top is fairly straight forward as it comes with all the mounting hardware and instructions. The Leader Accessories package is everything you need and with all the sizes and colors, it is perfect for all boats. It is the best bimini top for boats with the added bonus of being reasonable priced compared to other alternatives. For owners of inflatable boats that want a bimini top, the Sea Eagle is ideal. In terms of installation, this bimini top cover will fit inflatable boats with approximately 5.5 to 6 feet in beam. The canopy itself is PU coated for UV resistance and the aluminum tubing that holds it dismantles in minutes for easy storage. All hardware, mounting pads and instructions are included as a complete package. In terms of installation, there is no drilling (as it is inflatable of course!) and it simply connects the to mounting pads. There are many other bimini top cover but no other focuses upon inflatable boats. Sea Eagle do however and it is the best inflatable boat bimini top but you will need to pay a premium. The Northstar Pontoon Bimini Top is available in black and grey with an 18 inch long double bimini canopy. The construction uses a 1 inch square satin anodized tubing with 2 8 inch long tops with removable zippered connectors. It is an expensive large bimini top cover that many people will not be able to afford but for those that can, there is nothing that comes close. At 18 feet long, it is a monster in size and provides a huge coverage of protection for passengers of the boat. The 9.25 oz marine graded sunbrella is sewn with annefil poly thread that is UV protected and comes with an impressive 10 year warranty for peace of mind. It is the best pontoon bimini top you can buy and will improve the appearance of any pontoon boat. The Naviskin is a low cost budget alternative that has 10 color choices and 13 different sizes. It is a very similar construction to the Leader Accessories with a 1 inch diameter aluminum frame and a 600D polyester canvas with PU Coating. The construction is made from stainless steel and has a 2 year warranty against any defects for peace of mind. Many other cheaper alternatives will use a cheaper material for the frame that will rust when used on saltwater. Overall, it is the best cheap boat bimini top cover you can buy and offers great value for money. Installation is simple and requires no cutting of the frame or intense drilling to fit it to your boat as all the mounting hardware comes with it. The Seamander boat bimini top cover is another budget alternative that includes a 1 inch diameter anodizing aluminum frame with stainless steel hardware. The fabric is 600D marine grade polyester with double PU coating and it features 4 additional straps for a secure fitting. In terms of styling, there is 5 colors and 6 different sizes to choose from and all of them come with a 3 year warranty. It won’t be beaten on the price and the length of the warranty is fairly impressive. Overall, the Seamander is the cheapest bimini top cover for boats that uses high quality materials such as stainless steel and 600D polyester. It is similar to the Naviskin but has fewer colors to choose from, which lets it down slightly but it still one of the top rated budget bimini top covers. Adding a bimini top to your boat is one of the most popular modifications boat owners carry out. Not only does it make the boat look more attractive but the benefit such as protection from the suns UV rays and bad weather make bimini tops very desirable. Many boat owners see the prices at the dealerships and not look any further into owning one themselves. However, there are many affordable bimini tops available that tick every box in terms of durability, fitting and styles. Of course, like any marine products, there are many factors that you should consider before parting with your money. Due to the size of many bimini tops, installation may be a major worry for many boat owners. However, if the measurements are correct and you are capable of using a drill and screwdriver, the installation will be much easier than you think. 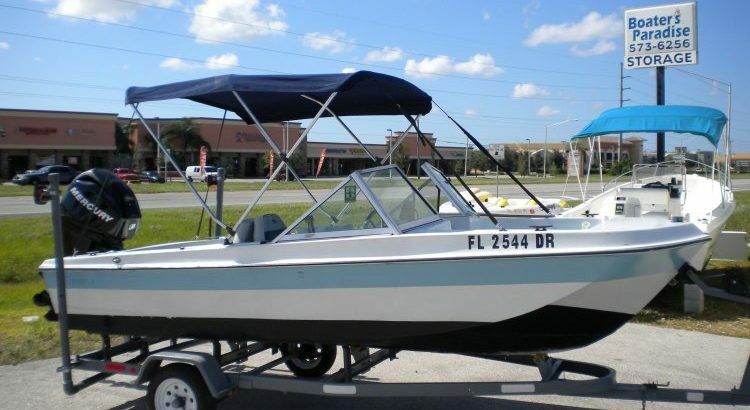 The standard bimini top is mounted onto the top or outside of the boat unless you own a pontoon boat where it connects the side rails. Using a drill, simply use the hardware provided to mount the brackets and screw on the bolts. In all of the recommended bimini tops above, instructions are included for a hassle-free installation. After deciding on where you wish to mount the bimini top, you will then need to take measurements to get the correct fit. Most boat owners will mount the bimini top to the widest parts of the boat but this is simply personal preference of where you wish to place it. The mounting point is usually the center of the bimini top, which means there will equal distance at the front to the back from the mounting point. Most boat owners only want the length to extend enough to cover the cockpit as there is usually expensive equipment present i.e. the marine VHF radios that require protection from the sun and water. The height is the final measurement and you simply measure directly upwards from the mounting point. You will want to ensure there is enough clearance to stand comfortable without crouching down to avoid hitting your head. This article is only showing the best bimini tops and they all use polyester and subrella fabric that offer excellent breathability, water repellent features, mildew resistance, UV resistance and durability. They can also be used with most boat cleaning products for when they become dirty too. It is advised to avoid canopies that use vinyl or double duck as the canopy as they do not score well in the above characteristics. In terms of the frame, stainless steel or aluminium that has been treated for saltwater is vital. The last thing that you want to worry about is rust starting to appear on the frame as it will stand out massively. Adding a bimini top for your boat is one of the best improvements that you can do, which will add value and make it more comfortable on the boat. There are a range of styles that includes a range of colors and styles for the savvy boat owner. Mounting the bimini top to your boat is much easier than you think and it can be removed just as easy for storage. It is advisable to go for a style that suits your boat i.e. the Sea Eagle model is designed for large inflatable boats whereas the NorthStar is for pontoons.